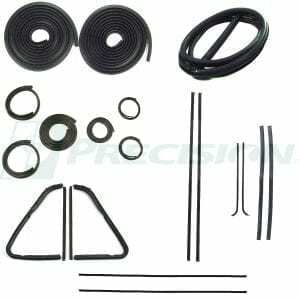 This kit contains the following pieces and is meant for vehicles that do not have trim around the perimeter of the windshield. Kit does not come with adhesive. 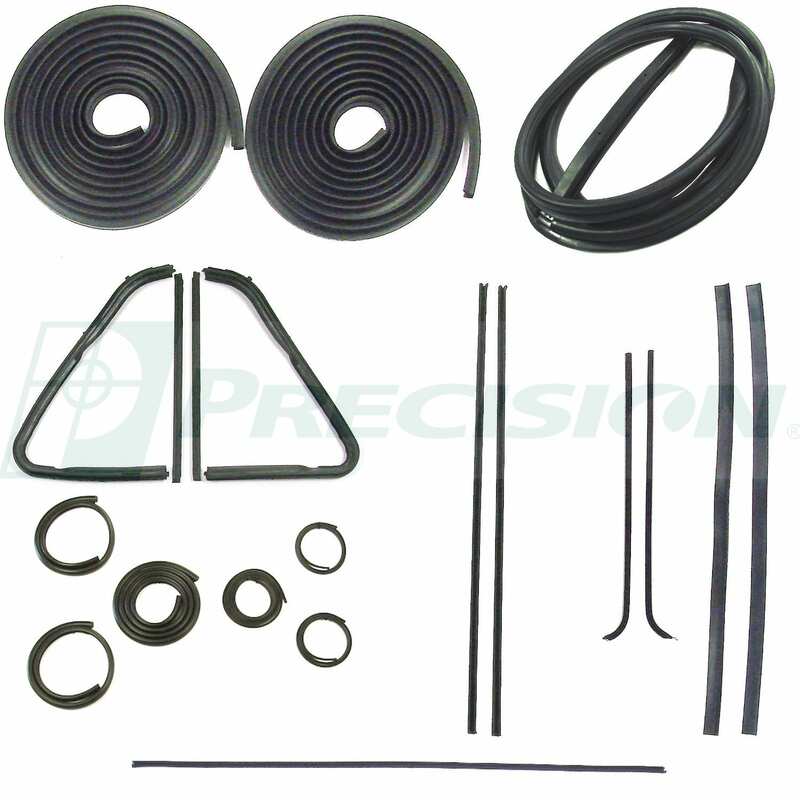 We recommend using 3M Super Weatherstrip Adhesive. 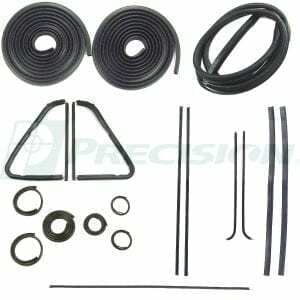 Fits 1951-1953 GM Pickup and front door of Suburban. 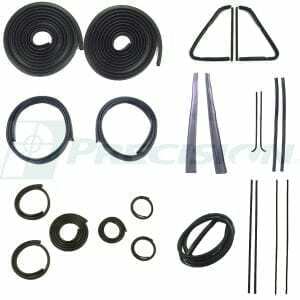 Kit is made from high quality ozone resistant EPDM rubber with the same specs as the originals.